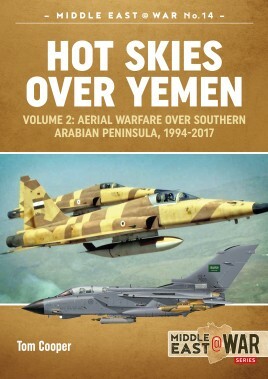 Hot Skies over Yemen is a richly illustrated and unique point of reference about one segment of modern aerial warfare in Yemen that remains entirely unknown until today. That the air forces of the Saudi-led alliance involved in the ongoing campaign in Yemen are operating some of most modern combat aircraft and weaponry manufactured in the West is no secret. But, exactly how, why, when, and where are they deploying weapons systems in question and for what purpose remains entirely unknown in the public. Thanks to approach to firsthand sources, this volume is providing answers to precisely these questions and thus providing an exclusive insight into the conduct of operations by such modern aircraft types like F-15S, F-16E/F, EF-2000 Typhoon, and Mirage 2000. Tom Cooper is an Austrian aerial warfare analyst and historian. Following a career in worldwide transportation business – during which he established a network of contacts in the Middle East and Africa – he moved into narrow-focus analysis and writing on small, little-known air forces and conflicts, about which he has collected extensive archives. This has resulted in specialisation in such Middle Eastern air forces as of those of Egypt, Iran, Iraq, and Syria, plus various African and Asian air forces. 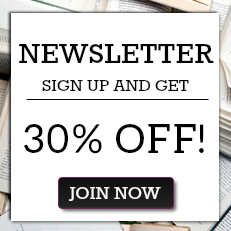 Except for authoring and co-authoring more than 30 books - including about a dozen of titles for Helion’s @War series - and over 1000 articles, Cooper is a regular correspondent for multiple defence-related publications.